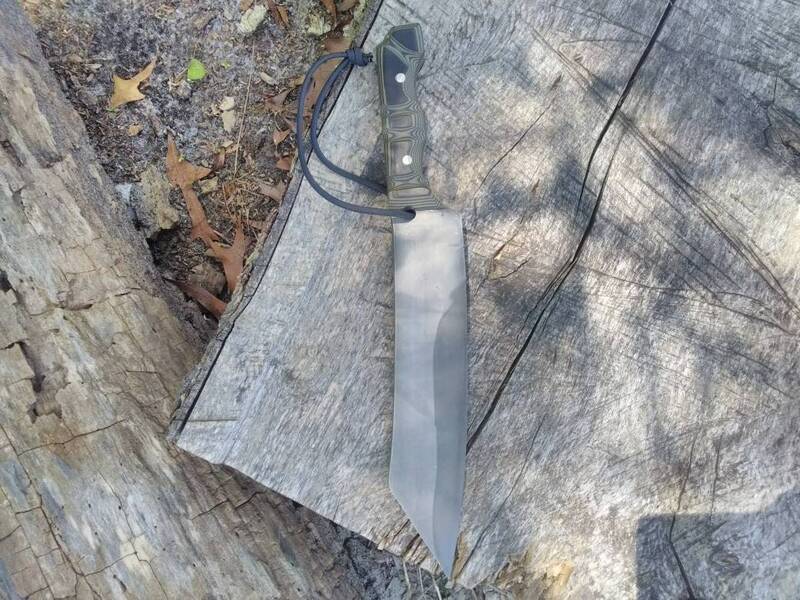 I made this competition chopper from 5160 spring steel. 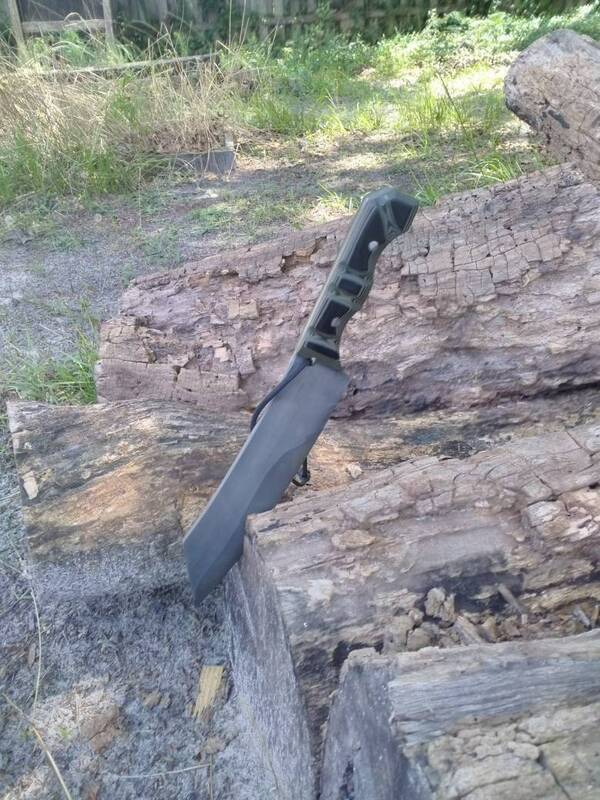 It's got an acid finish to darken the blade and highlight the differential heat treat along the edge. 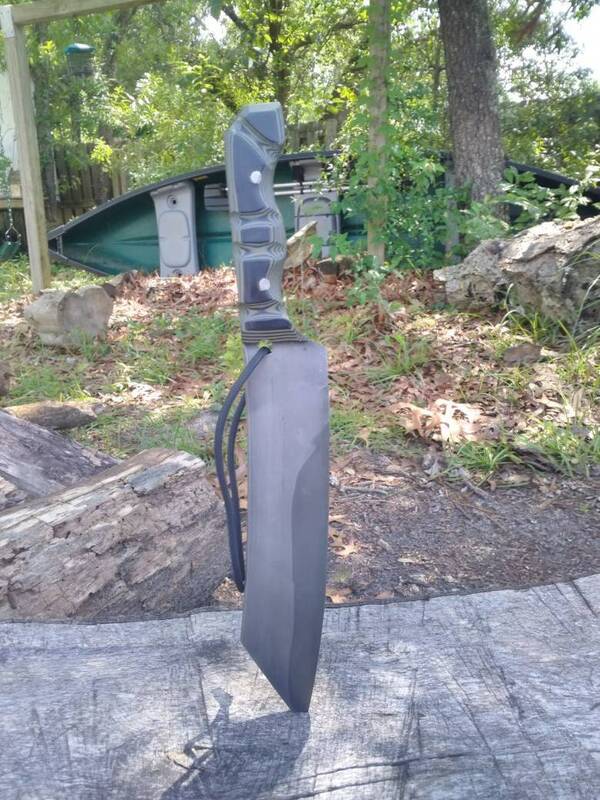 It's got a thin edge geometry to be very sharp, but the spine is still nearly a 1/4" to give it enough mass to power through thick objects. 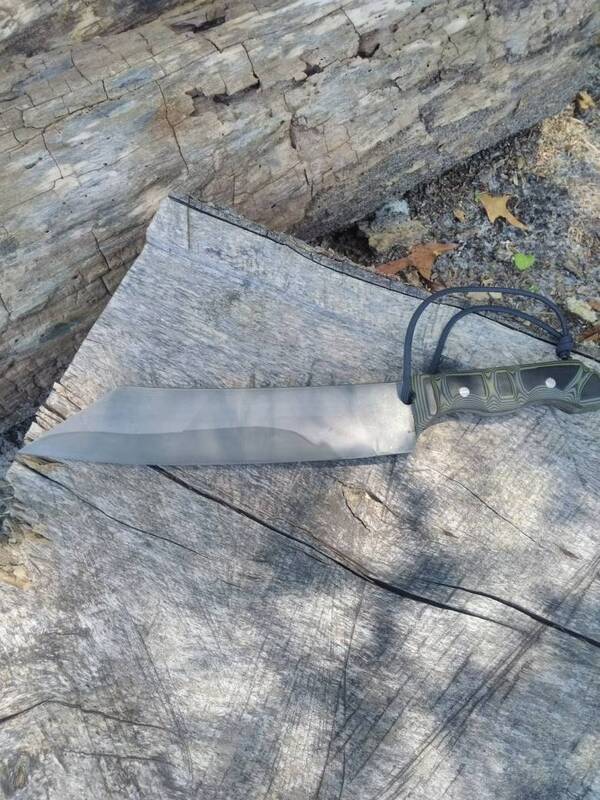 I added black and olive drab layered G10 for the handle to give it a subdued, tactical, military look. 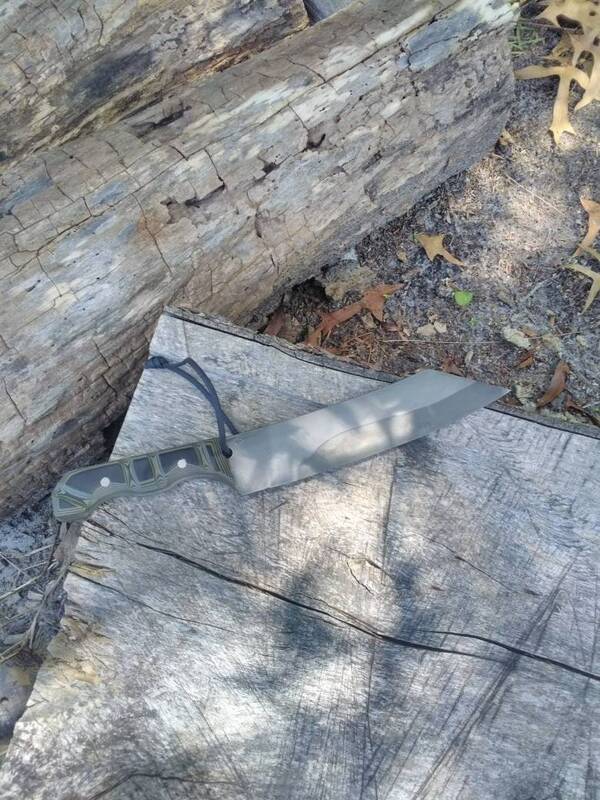 This knife is completely hand forged, and meets the specs for Bladesports International competition.